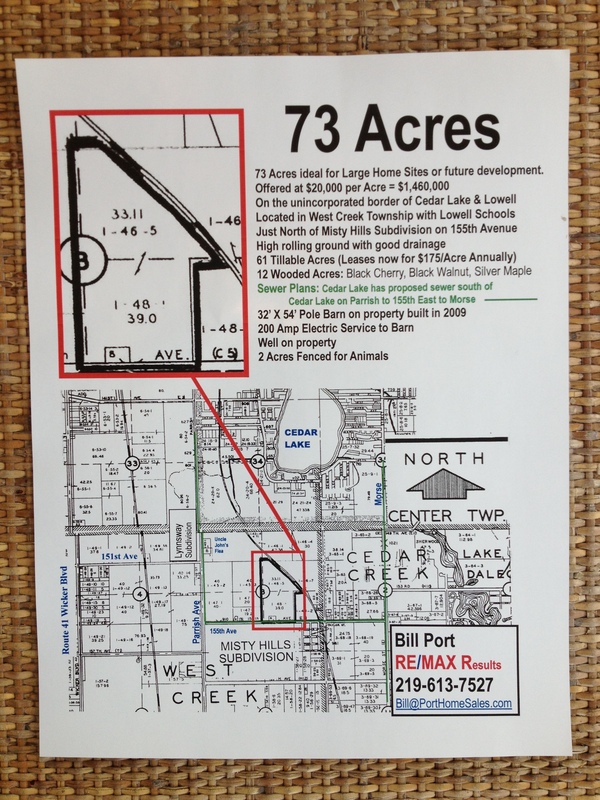 73 Acres ideal for Large Home Sites or future development. Located on the unincorportated border of Cedar Lake and Lowell. Attention builders! Attention developers and investors! Ideal for large home sites or future subdivision development. Within the Lowell School District Just North of Misty Hills Subdivision in Lowell and East of Lynnsway Subdivision in Cedar Lake, Indiana. Located east of Route 41 (Wicker Boulevard), west of Morse, on 155th. This property already has a 32' x 54' FBI Pole Barn built in 2009, complete with 200 amp electric and well. Ideal for construction warehouse during construction, tradesman business. Ideal farm location for horses. 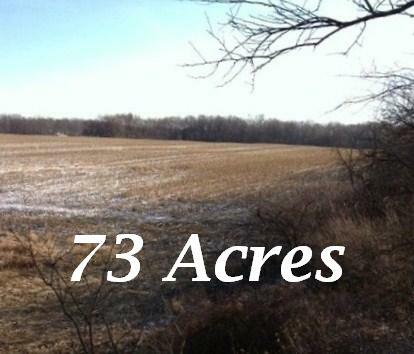 Twelve Acres are heavily wooded with Black Cherry, Black Walnut, and Silver Maple trees. Located miles north from proposed Illinois-Indiana expressway. Ideal development location in path of proposed Metra South Shore Commuter Train extension on old Monon right of way. To make an offer, view surveys, or request additional information, Call Bill Port, RE/Max Results.